E é este o melhor sítio para estar em Ibiza, pelo menos o meu favorito. A cinco minutos de distância do Ushuaia Hotel, estava o fantástico beach club da Diesel. Para mim é a maneira perfeita de estar num sitio como Ibiza. Em camas de praia, o mar das baleares a dois metros de distância dos nossos pés, comida e bebida óptimas e companhia ainda melhor. Tirei estas fotografias depois de lá passar a tarde, a caminho do hotel para me ir arranjar para o sunset que tivemos também no beach club da Diesel. Sim, porque a meio da tarde o cenário é outro- as camas de praia ficam em tons de preto e encarnado, chega o DJ, e com ele centenas de pessoas. Usei este vestido da Diesel durante o dia - com uns pormenores super giros na parte de trás- e para o sunset mudei para um look all-black (ESTE). Espero que gostem do post. Foram mesmo uns dias fantásticos, e por isso agradeço mais uma vez à equipa da Diesel, e vocês desse lado por me apoiarem e me darem vontade de continuar sempre! And here it is: the best place to stay in Ibiza. 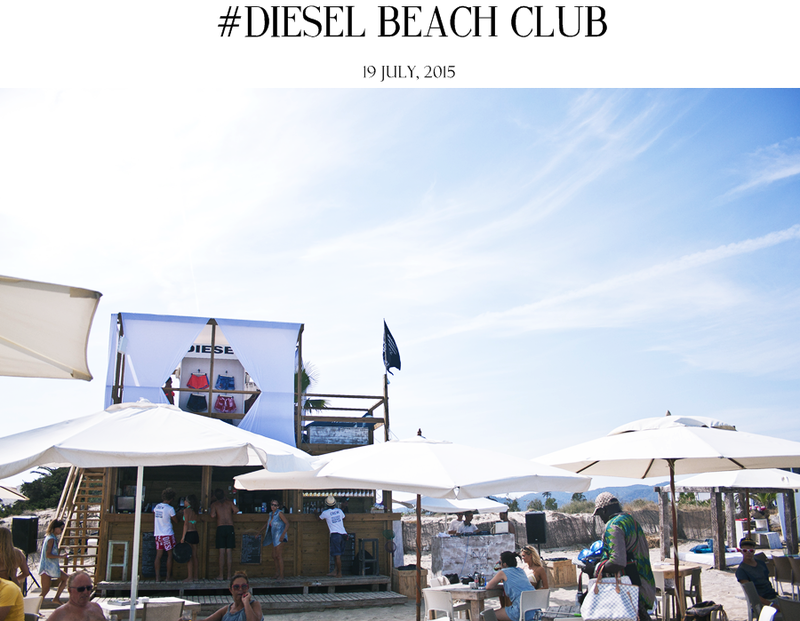 A five minute walk away from the Ushuaia Hotel, we find the amazing Diesel Beach Clung. 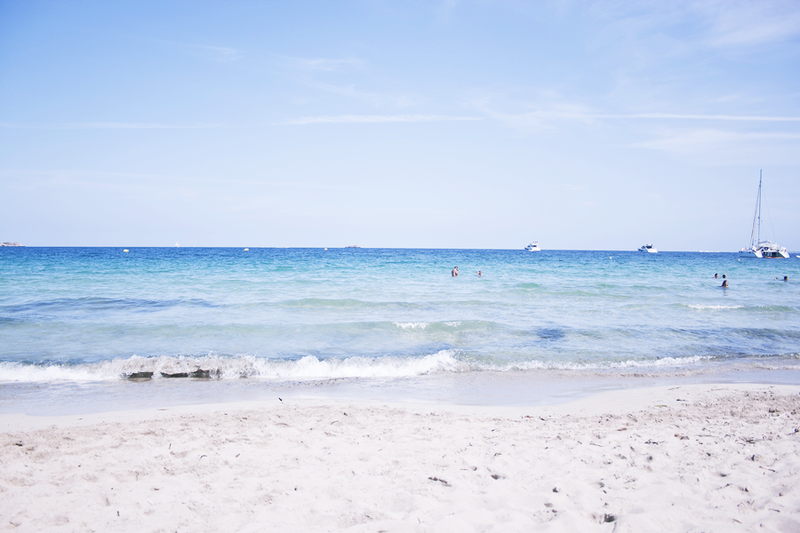 For me it's the best place to be when you are in a island like Ibiza. 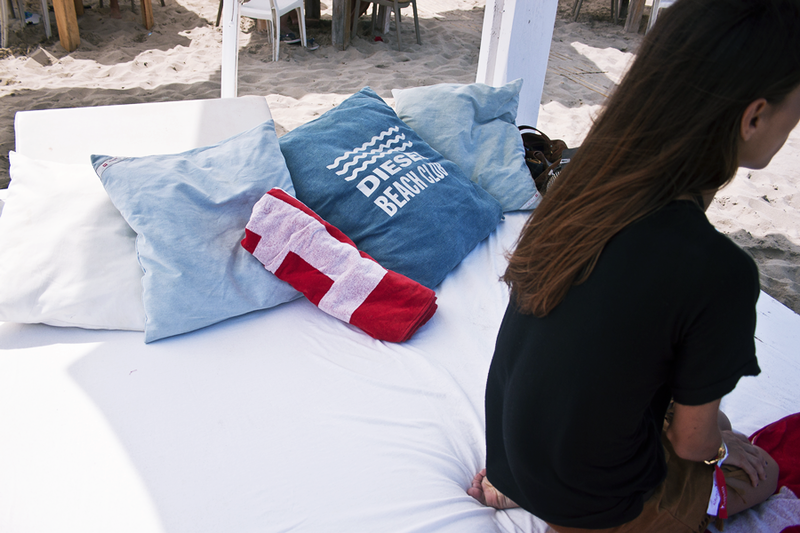 In beach beds, with the sea by your feet, great drinks and food and even better company. I took this pictures after spending some hours there, when I was walking to the hotel getting ready for a sunset in the beach club again. Yes, because when it's latter in the afternoon the scenery totally changes. The beach beds become black and red, the DJ arrives and with all that thousands of people partying arrive too. I wore this Diesel dress for day-time, it has some amazing details in the back don't you think. And for the sunset I changed into a all-black look (THIS). Hope you liked the post. These days were really awesome, and for that I have to thank once again to the Diesel team, and to you for always supporting me and keeping me going! Acho que estavas linda e espero que tenhas aproveitado bem ! Estás tão linda Mafalda, como sempre! Nice look! I´m in love with your sandals!